Spring break is just around the corner which means a break from hundreds of pages of reading a week and crying in New Side. Looking for something to read in the airport or on the beach? So here we are, being genuine for once in our lives, here are some of the Thrill writers’ favorite reads. Spring break is just around the corner which means a break from hundreds of pages of reading a week and crying in New Side. Looking for something to read in the airport or on the beach? So here we are, being genuine for once in our lives, here are some of the Thrill editor’s favorite reads. Majors. Everyone has one, maybe even two. Some say they are the most important part of who we are here, at this sweet liberal arts college. They paint a picture of what we like to study, which professor’s house we are desperate to get the invite to and even help with the post-grad job search (maybe). One day, we may look back on all this and use the stuff we learned here to tell our stories. Honestly terrifying to think one of your classmates would have the ego to write a memoir, but definitely not surprising. Well, if you are thinking about divulging your secrets, deepest desires, unconventional childhood or career trajectory, check out these titles for inspiration. Lit Lit is a new segment I will be hosting in which I get someone lit, and then that someone chooses a work of literature and gives me a summary and quick discussion of the themes of that work. This week I had the pleasure of getting a friend of mine lit, who will be referred to throughout as Nasty Willow, to discuss Mary Shelley’s classic Frankenstein, or The Modern Prometheus. I was joined by another companion who chose to go by “Mary Shelley’s Lesbian Lover,” as we discussed the work in a sunny graveyard. Nasty Willow’s dialogue is in Times New Roman, all action is written in italics. Victor Frankenstein….that’s not how the book starts. Begin–We’re on a ship. And it’s a series of letters from. Arctic explorer? Robert Walton! Okay. Has your tiny, collegiate body ever ingestsed a beautiful novel and thought, “Wow, this is all I want to create and more! The plot twists, the unexpected heroism, the heartwarming message – every part of this book-reading experience is glorious, and I would love to replicate it with words of my own!” These may or may not have been the thoughts of soon-to-be-published YA author Rioghnach Robinson ’16, whose book Seven Ways We Lie (published under the pseudonym “Riley Redgate”) hits shelves March 8th. We asked Robinson a few questions regarding her book and her writing process. Aspiring novelists, take note! The Kenyon Thrill: Can you give us a brief summary of your book? Robinson: Yes! 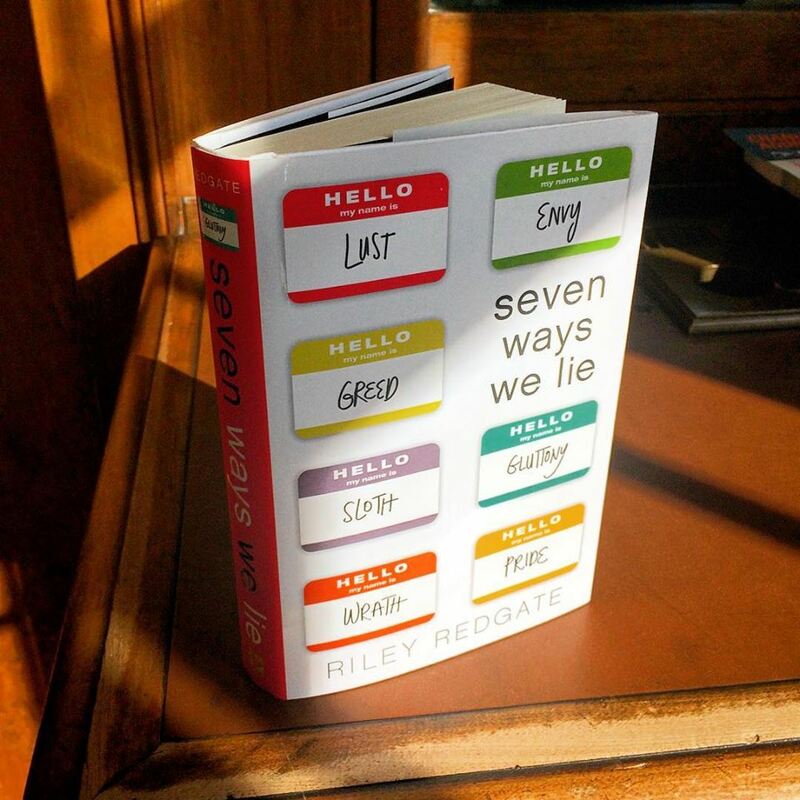 Narrated from the perspective of seven high school juniors, one for each of the seven deadly sins, Seven Ways We Lie explores how the ripple effect from a teacher-student relationship forces each of the seven to confront their central flaw.